Atlantic was purchased in 1967 by the Warner Bros.-Seven Arts film studio. Atlantic/ATCO Records, along with Warner Bros. Records/Reprise Records, were to be operated as separate record companies under this ownership umbrella. This continued until 1969, when Warner Bros.-Seven Arts was purchased by Kinney National Company. Warner Bros. and Atlantic were brought together, Ahmet Ertegün was given considerable power in the new operation and he, along with both the President and Chairman of Warner Bros. Records Mo Austin, served on a committee to oversee the record business. They oversaw the purchase of Elektra from its founder Jac Holzman in 1970, leading to the creation of the Warner-Elektra-Atlantic (WEA) alliance and distribution network. For counterfeit editions and other unofficial versions of its releases, please see Atlantic (2). early 45's were released on yellow labels until Jan. 1956, and on red labels after that date. 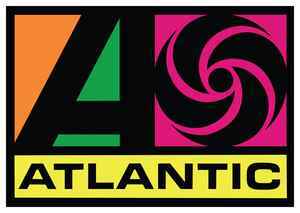 In March, 1962, a small swirl logo was added underneath the “A” of “Atlantic. Please note that when it comes to promo releases released on Atlantic Records and many of its subsidiaries, such as Big Beat and East West Records America, the outside jacket sticker will contain the commercial catalog number and the inner label will contain the promo catalog number or sometimes both. MO: Monarch Record Mfg. Co. SO: Sonic Recording Products, Inc.
WM: Midwest Record Pressing, Inc.
1947-1948: 208 W 56th St., New York, NY 10019, U.S.A.
1948-1951: 301 W 54th St., New York, NY 10019, U.S.A.
1951-1956: 234 W 56th St., New York, NY 10019, U.S.A.
1956-1961: 157 W 57th St., New York, NY 10019, U.S.A.
1961-1973: 1841 Broadway, New York, NY 10023, U.S.A.
1973-2014: 75 Rockefeller Plaza, New York, NY 10019, U.S.A.
1999-2014: 1290 Avenue Of The Americas, New York, NY 10104, U.S.A.
Have you ever had problems with vinyls warping while shipping internationally?